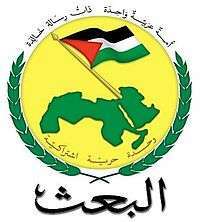 The Arab Socialist Ba'ath Party – Lebanon Region (Arabic: حزب البعث العربي الاشتراكي في لبنان‎‎ Hizb Al-Ba'ath Al-Arabi Al-Ishtiraki fi Lubnan), officially the Lebanon Regional Branch, is a political party in Lebanon. 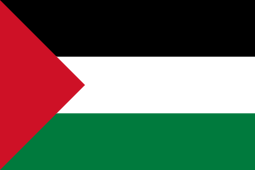 It is the regional branch of the Damascus-based Arab Socialist Ba'ath Party. Fayez Shukr has been party leader since 2005 when he succeeded Sayf al-Din Ghazi who in turn succeeded Assem Qanso. 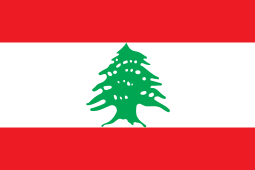 The Lebanese branch of the undivided Ba'ath Party had been formed in 1949–1950. Assem Qanso is the longest-serving secretary (leader) of the Lebanese Ba'ath Party; first from 1971 to 1989 and again from 2000 to 2005. During the Lebanese Civil War, the party had an armed militia, the Assad Battalion. The party joined forces with Kamal Jumblatt's Progressive Socialist Party in organizing the Lebanese National Movement, seeking to abolish the confessional state. The Lebanese National Movement was later superseded by the Lebanese National Resistance Front, in which the party participated. The party organized resistance against Israeli forces in Lebanon. In July 1987 it took part in forming yet another front, the Unification and Liberation Front. In the 2009 parliamentary election, the party won two seats as part of the March 8 Alliance. The parliamentarians of the party are Assem Qanso and Qassem Hashem. ↑ Seddon, David (2004). A political and Economic Dictionary of the Middle East. Taylor & Francis. p. 85. ISBN 1-85743-212-6. ↑ "The future of Syria's pawns in Lebanon". www.lebanonwire.com. Retrieved 23 December 2014. ↑ The Soviet Union and the Middle East. 8. Indiana University. 1983. p. 20. ↑ Federal Research Division (2004). Syria: A Country Study. Kessinger Publishing. p. 282. ISBN 978-1-4191-5022-7. ↑ O'Ballance, Edgar (1998). Civil War in Lebanon, 1975–92. Palgrave Macmillan. p. 62. ISBN 0-312-21593-2. 1 2 O'Ballance, Edgar (1998). Civil War in Lebanon, 1975–92. Palgrave Macmillan. p. 149. ISBN 0-312-21593-2. ↑ O'Ballance, Edgar (1998). Civil War in Lebanon, 1975–92. Palgrave Macmillan. p. 179. ISBN 0-312-21593-2. ↑ "March14 – March 8 MPs". NOW Lebanon. 11 March 2009. Retrieved 24 October 2011.